When people think of the World Trade Center, they think of the magnificent Twin Towers; but there were seven buildings in all. And building 7 was a 47-story structure magnificent in its own right. On 911, the South Tower collapsed at 9:54 a.m.
And the North Tower collapsed at 10:28 a.m. 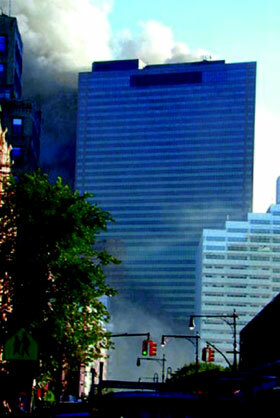 But it was about seven hours after the North Tower fell that Building 7 collapsed. The building apparently received ancillary damage and erupted in fire earlier in the day and thus was weakened and ready to fall at any juncture. 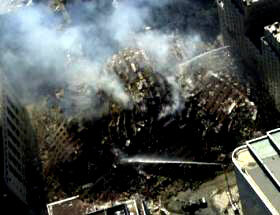 At 5:20 p.m., Building 7 collapsed as if was imploded. The collapse only took a few seconds and there were few witnesses, but there were video tapes of the collapse. It was the last building to fall on 911.